I arrived in situ with over an hour to go. It was a cracking morning: freezing cold, but bright and sunny; a classic winter’s day. Last year I walked from one end of the marquee to the other, heaving all my stock with me, only to find my stall located right by the entrance. Learn from experience? Nah, not me. I did exactly the same thing again this year. Having found the stall and exchanged greetings with the young lady preparing to offer a gift wrapping service on the neighbouring stall, I hadn’t even had time to unload my books before I was joined by the first of my companions, Susan Grossey, complete with the first two books of her series following the career of Sam Plank, a fictional magistrate’s constable working in Regency London. Together we transformed our plain table into a magnificent stall, with a little help from the friendly gift wrapper and her plentiful supply of Sellotape, and we were able to relax and get to know each other. Obviously we had a love of books in common, but more than that we clicked right from the start and were soon chatting like old friends. That’s when I started to relax; I knew I was going to enjoy the day. Shahida Rahman arrived next. We’d met last year at an author event in the central library, had got along famously and had kept in touch all year, so it was fabulous to see her again. While I was wandering round the fair in search of coffee, Saffra Monteiro arrived; having met Saffra earlier in the year, Sue did the introductions when I returned with a latte and a mouth full of lemon drizzle cake. Saffra was selling the first in what is to become a series of fantasy books, and both her cover and she herself were very eye-catching. Poet Michael Brown arrived a little while later, and finally Georgia Rose joined us. Georgia had the furthest to travel and wasn’t familiar with Cambridge, so I was very relieved when she arrived safely. It was about half an hour into the fair that things went downhill. 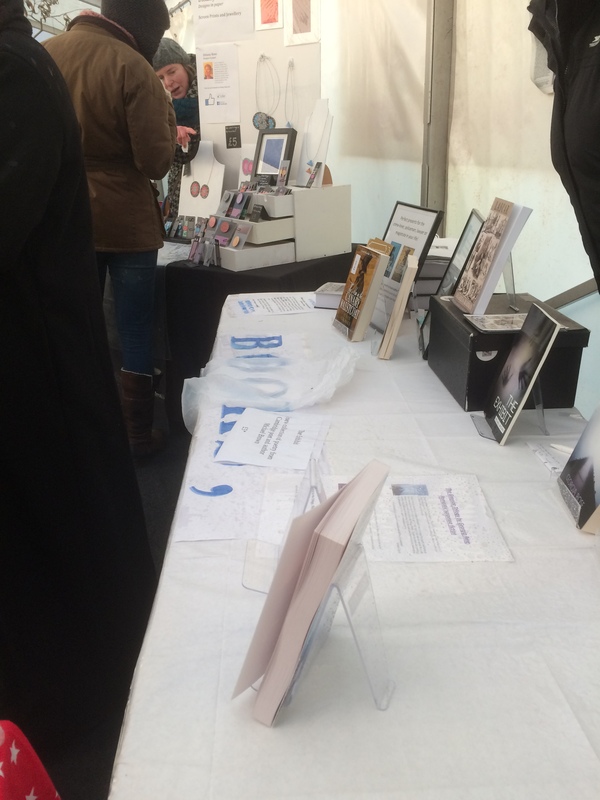 Our neighbours – not the friendly gift wrappers, the other neighbours – took umbrage at the fact that Sue and Shahida were mingling with the crowds entering the marquee. The neighbours’ request that Sue and Shahida try not to obstruct their stall was reasonable, but the aggressive way in which they put it wasn’t. Sue and Shahida did as asked, but that wasn’t good enough for the narky neighbours. ‘Can you stop approaching people as soon as they come through the door? You’re stopping them from coming to our stall.’ No, dear, we’ve every right to attract customers. I think someone got out of bed on the wrong side on Saturday morning! Before long the narky neighbours were the least of our concerns. I’d noticed water pouring down from the side entrance to the marquee as the sun moved round and melted the frost, but hadn’t thought too much about it. I’d even watched, mildly amused, as a young man wiped down the ceiling of the marquee with a mop. Oh yeah, ha ha. Hilarious. A drop fell on to our stall, shortly followed by a second. Young man with mop to the rescue. Job done? No chance! The drops began to fall with alarming regularity as the condensation rolled down the slope of the ceiling and gathered above our stall. My request that everyone stop breathing wasn’t met with very much enthusiasm, and it wasn’t long before the mop man had a full time job protecting our precious books from the deluge. He was heard to comment that he didn’t pray for an easy life, he prayed for the strength to endure. Personally, had I the faith to pray I’d have been asking for a dry pitch at that moment in time. Outside the marquee the sun continued to shine, and it was dry. Beautifully dry. Watching the crowds passing our stall by as soon as they saw the water pouring down on us, we made the executive decision to up sticks and move outside. Mop man did radio those in charge to ask if this would be alright as we weren’t supposed to move our stall from its intended position, but drastic situations call for drastic measures. By the time he came back with the thumbs up, our stall was already outside and we were collecting our bits and bobs. In the unlikely event that Alanis Morissette reads my blog, she might be interested to know that rain on your wedding day isn’t actually ironic. Rain on a stall pitched inside a tent expressly to avoid it getting wet should the weather be inclement – now that’s ironic! It wasn’t long before the lovely gift wrappers had also moved outside – falling water would play havoc with wrapping paper as much as it would with books. Happily, the narky neighbours stayed put in the marquee. Michael was having lunch and a look round the fair with his husband John when we’d moved out, and as none of us had thought to take his phone number he was a bit baffled when he returned to the marquee and found a soggy gap where our stall had once been. 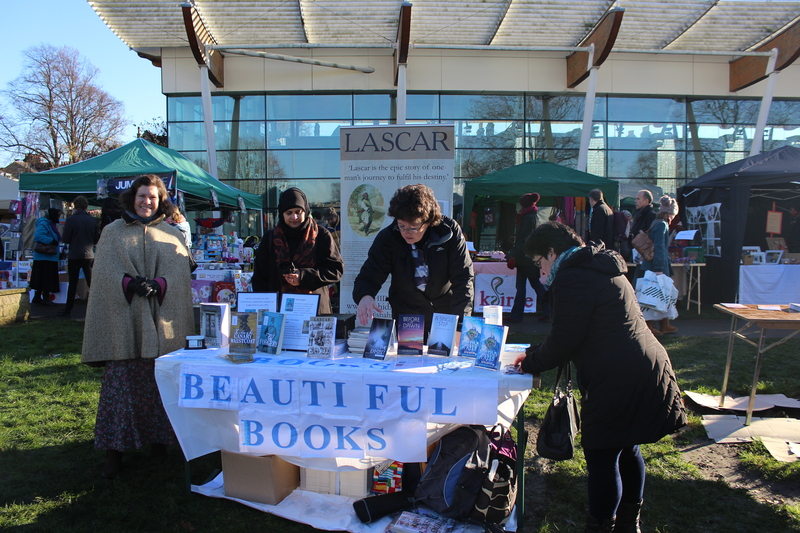 The winter sun did its best to warm us, and we were able to display our books without a care in the world. We had more room to move around, plenty of visitors passing by, a great view of a group of hunky fireman pulling a fire engine along the road (mmm, that warmed us up!) 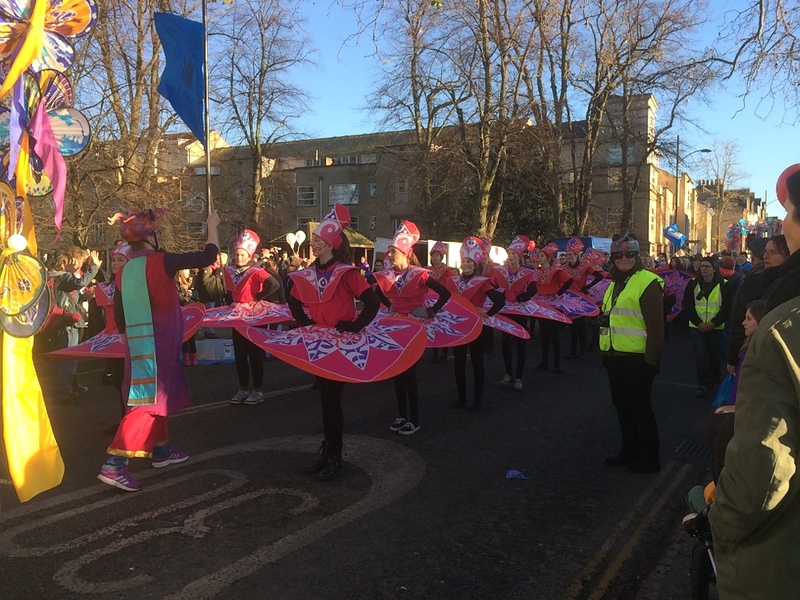 and I even made up for the fact I never got a chance to see the Winter Fair parade last year. 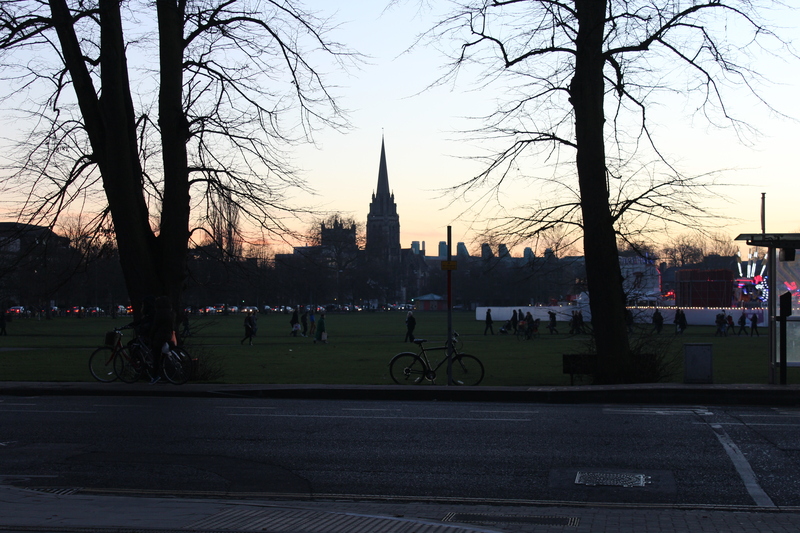 The day wore on, and the low winter sun gradually slipped behind the buildings. To say the fair was successful in terms of sales would be a huge exaggeration, but hey! I sold two books! One by one my stall mates gave up and went home as the temperature plummeted; soon only Sue, Georgia and I remained, chatting and laughing like the friends we had become over the course of the day. When the sun disappeared completely, we finally decided we’d had enough for this year and packed up our wares, promising to stay in touch and meet up again in the new year. Waiting for Andy to pick me up after the fair, wondering whether I’d ever feel warm again, I looked over the darkening town and reflected on the day. 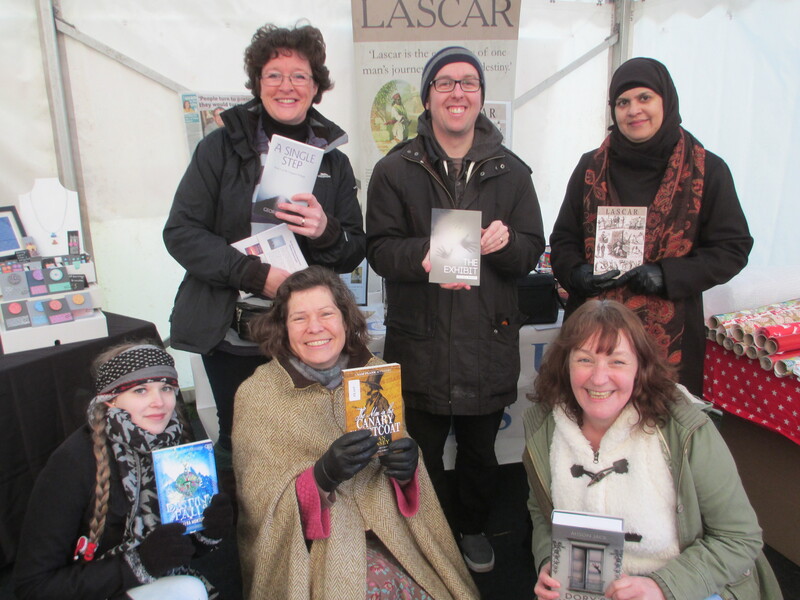 Six people with a range of different ages and backgrounds had been brought together by a common interest – books. Yes, my early fears had been realised and I was bringing pretty much all my stock back home again, but I had great memories and five new friends. Can I put a price on these things? Of course I can’t, because they’re priceless. 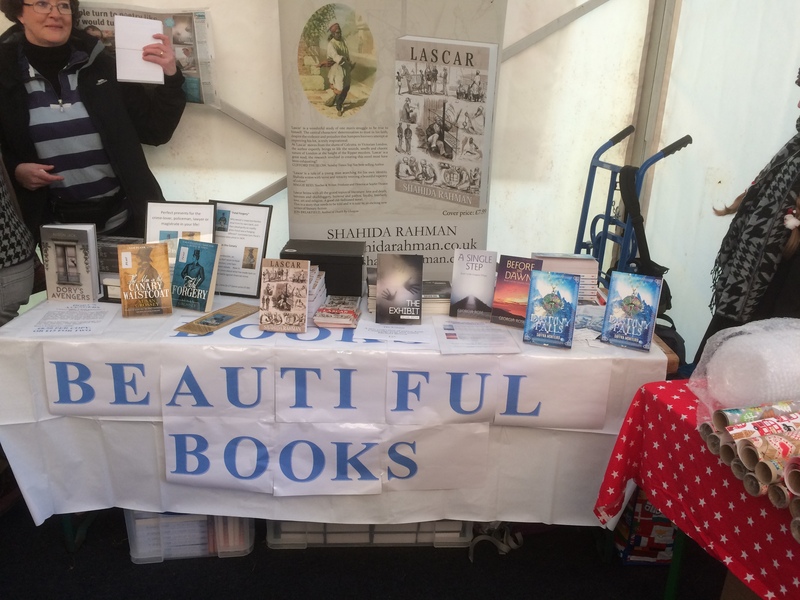 As promised in my Books, Beautiful Books blog, over the next week or so I plan to feature a post introducing the wonderful local authors who will be joining me at Mill Road Winter Fair on Saturday 6 December. So without further ado, let’s hear it for GEORGIA ROSE. 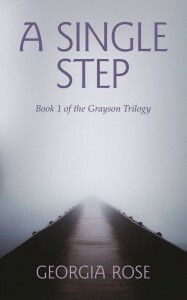 Georgia Rose is a writer and the author of ‘A Single Step’ and ‘Before the Dawn’, the first two books in The Grayson Trilogy. The concluding book, ‘Thicker than Water’, is on the way and should be available 2015 – Spring…possibly Summer! 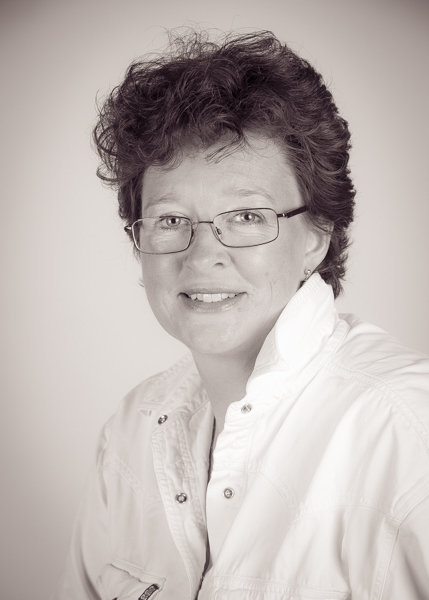 Following a long stint working in the law Georgia set up her own business providing administration services for other companies which she does to this day entwining that work along with her writing. Her busy life is set in a tranquil part of rural Cambridgeshire where she lives with her much neglected family of a husband, two nearly grown up children and two dogs. 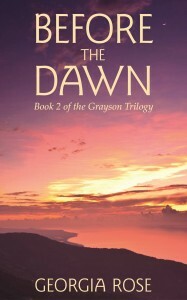 I’m Georgia Rose, an author, and my novels A Single Step and Before the Dawn are the first two books in The Grayson Trilogy. The concluding novel, Thicker than Water, though still in my head – is bursting to get out! More on that later! When it comes to telling you anything about A Single Step I find it difficult (great advertising, I know – I can hear you saying it!) I can tell you it’s a romance but there’s also an edge of suspense to it and a certain amount of mystery. However, I don’t like spoilers, not on the backs of books, not on trailers for films, so I found it tricky to write any sort of blurb, eventually ending up with….. This is the new cover, beautifully designed by SilverWood Books and the book is available as a paperback or ebook from Amazon either to a Kindle or there is a free Kindle Reading App for you to use on any other sort of tablet, phone or PC reading device. A Single Step is also now also available from Smashwords, Kobo and Nook. And if you are kind enough to download (or buy the paperback) and read my book, it is much appreciated and I hope you enjoy it. If you are able to leave a review that would be wonderful, it really does matter and it would mean the world to me! So here we are with my latest release – the second book in The Grayson Trilogy packed full of romantic suspense (with the accent on the suspense!) the beautiful Before the Dawn! If you do read either of my books and have any feedback, thoughts or observations (good or bad it all helps!) please let me know via the contact page on this website or direct on info@georgiarosebooks.com if you prefer – I’d be very interested to hear from you. I have been very fortunate to be featured on some fabulous blogs this year – here are the links to some of them – others to follow! A Single Step has also been under the brilliant spotlight of Ngaire Elder on her Cecilia Spark BlogSpot, to go and have a look to see how Mary J Blige features just use this link!! 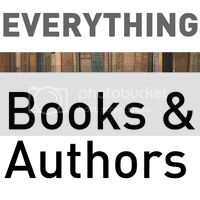 Terry Tyler recently asked me to write a guest post for her Literary Blog. 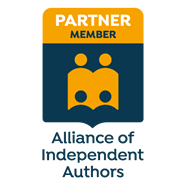 I chose to write it on how my life has changed since I became an indie author and how I fit in all the marketing that comes with it – if you fancy taking a peek follow this link! And now it is the turn of Before the Dawn to come under the spotlight! And now the ‘more…later’ bit – I’ve started Thicker than Water…just…October has been all about clearing my desk and I shall be hitting the keys hard in November. I’m hugely grateful to all of you who’ve been in touch, who’ve asked when the next book is out, who’ve shown so much interest in my writing – it means a lot and I can’t thank you enough. I hope you’ve enjoyed meeting Georgia today. Coming up on Thursday – Meet Michael Brown.